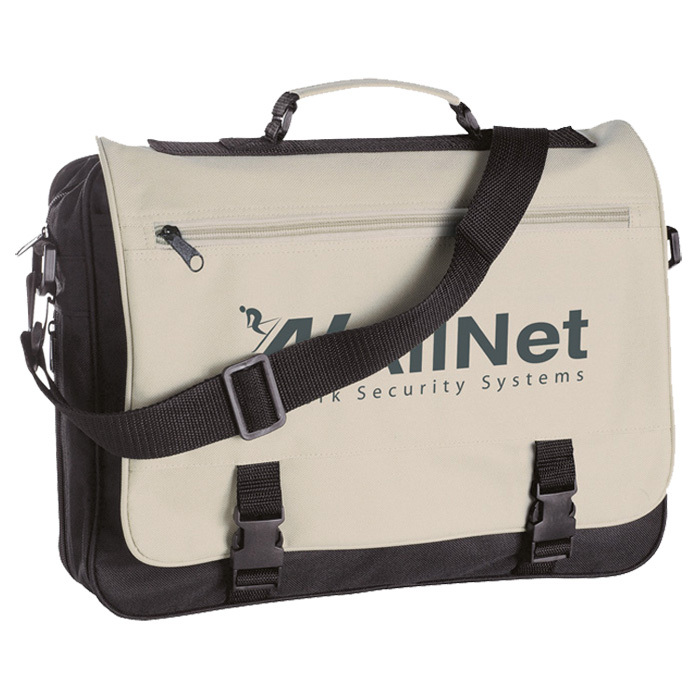 Brilliant business bag at an extraordinary price! Zippered main compartment, front flap with 2 buckles and outer zip pocket, large roomy main compartment as well as a zippered expansion panel to the base to pack in even more! Adjustable black shoulder strap and reinforced hand carry. Price includes a 1 colour print to the front flap. Dimensions: 400 x 300 x 70mm. Print area: 230 x 70mm.